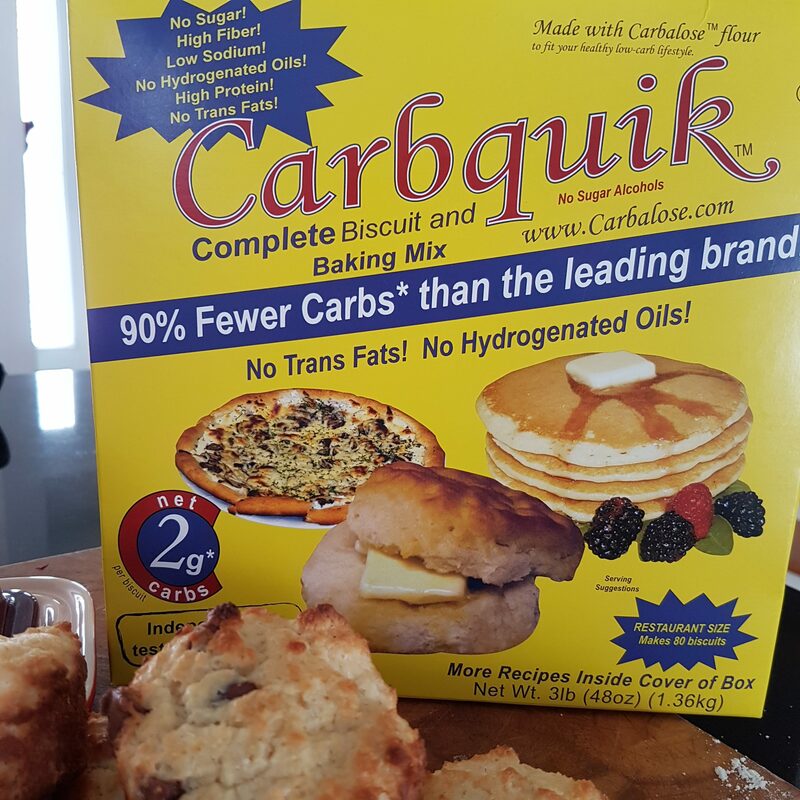 Not too long ago I purchased a box of Carbquik as so many people suggested I give it a try to make low carb treats. I have to say we really like using it. There are endless recipes for so many treats that would normally have a tonne of carbs in them like pancakes and muffins. Carbquik is made from wheat so it actually tastes like flour with 90% less the carbs as regular flour. Its made with Carbalose which is similar to Bisquick. Ingredients: Carbalose Flour (Enzyme-Enriched Wheat & Wheat Protein, Wheat Gluten, Wheat and Vegetable Fiber, High-Protein Wheat Flour, Canola Oil, Salt, Emulsifiers, Enzymes, Ascorbic Acid, Sucralose, Calcium Proportionate), Palm Oil, Buttermilk Powder, Baking Powder, Egg White Solids, Lecithin, Salt, Natural & Artificial Flavors. 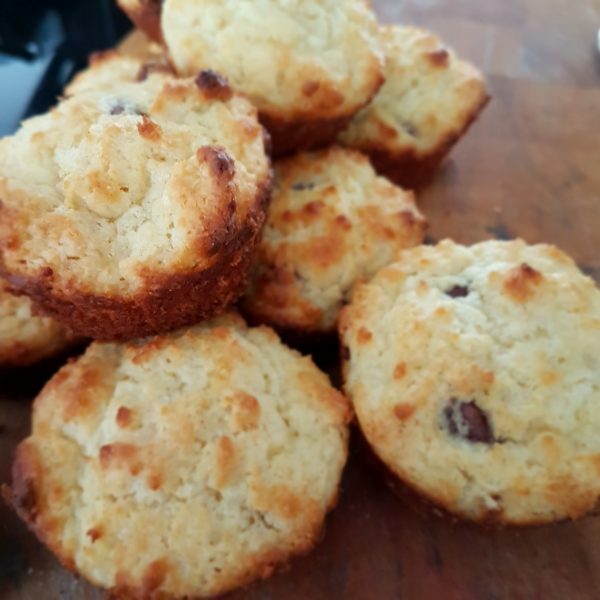 So with all the technical stuff out of the way I made these lovely little muffins this morning and they are only 3g carb each and only took about 20 minutes from start to finish. They are especially yummy warm right out of the oven with a little pat of butter melting over it. When mixing the batter keep in mind that is doesn’t really pour into the muffin cups but don’t worry the muffins eventually fill the muffin cups and rise quite nicely withing 15 minutes. You can get really creative with these as well. Try banana and nut, blueberry, strawberry and rhubarb or go savory instead of sweet with a little rosemary and vanilla. These delicious little muffins are only 3g net carbs per two muffins. They are especially good warm right out of the oven with a pat of butter melting all over them. YUM! Prepare muffin pan using 12 muffin cup liners or grease the bottoms of each cup. Stir all ingredients except the chocolate chips till incorporated but do not over stir. Spoon batter into each prepared cup and bake for 15 minutes or until golden brown. Enjoy! !